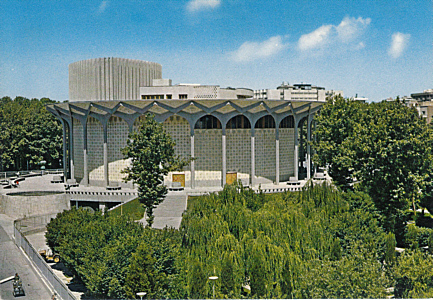 "City Theatre", built 1967-1973 by Ali Sardar Afkhami. Opened 27 Jan 1973 with Anton Chekhov's play "The Cherry Orchard". The complex contains five halls (the largest with 579, 120 and 100 seats).